Kinematic Viscometer Bath Description: SE-Test India Pvt. Ltd., a reliable Kinematic Viscometer Bath Manufacturers and Suppliers, brings the most advanced product for measuring the resistance flow of oils, a Kinematic Viscometer Bath. Kinematic viscosity is a very critical parameter or a factor of oils. Kinematic Viscosity Bath equipment is utilized to measure the kinematic viscosity of a variety of oils such as lubricating fluid, crude oil, peanut oil, and diesel fuel etc. SE-Test India Pvt. 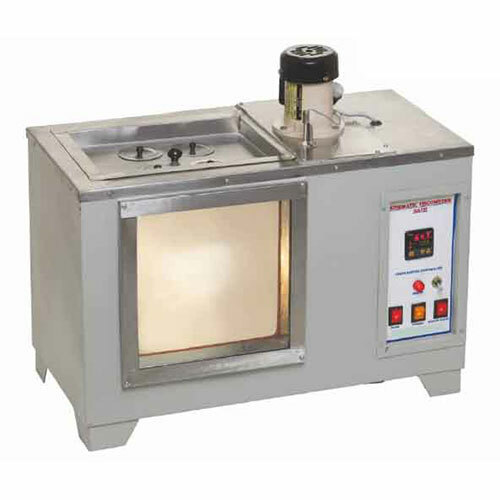 Ltd. Kinematic Viscometer Bath designed as per IS: 1206 (part II) clearing bitumen (IS:73:2006) at 60°C, that utilizes the vacuu slender viscometer to test the complete absolute viscosity of tar and bitumen materials. It can measure the supreme thickness of consistency, which is very crucial in certain industries. It offers accurate temperature reading and measuring with the highest efficiency with précised digital display. Signal Sampling is done intelligently to ensure accurate data measuring and reading. For optimum heat, preservation comes with a durable glass bath. Experimental efficiency achieved with an accurate viscometer. Temperature accuracy can be controlled easily. Easy portability and operational efficiency as comes in desktop based design. For the uniform temperature of the bath comes with an electric stirrer. Viscometer tubes are easy to clean and dry.